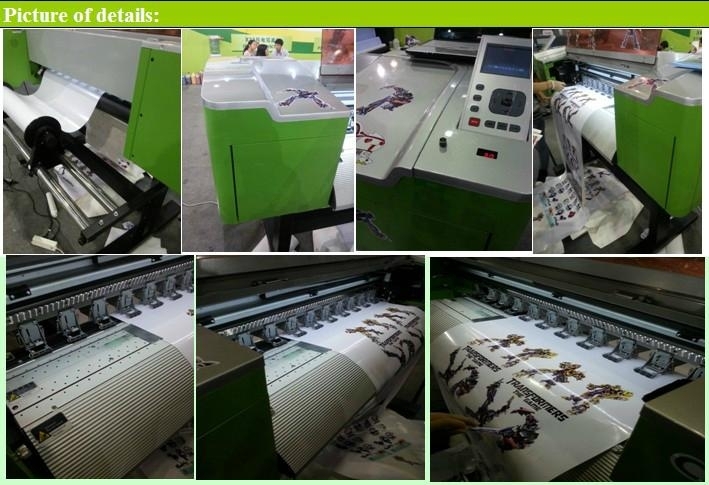 Newly developed YH series inkjet printer integrates printing and cutting to meet the demands of multipurpose application. It can realize the printing and contour cutting at the same time. 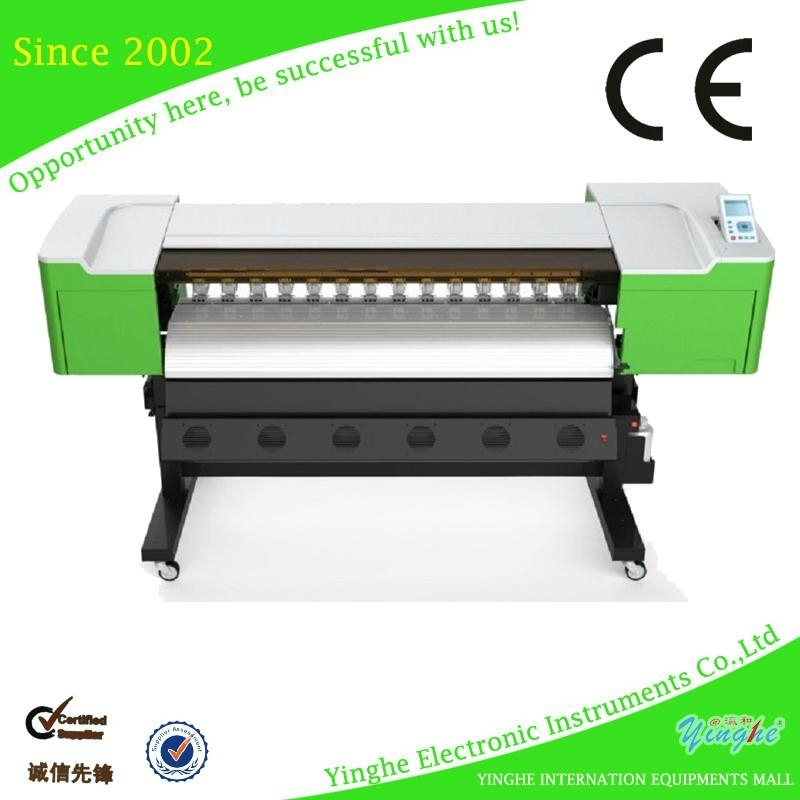 YH series inkjet printer integrates the golbal leading techniques, widely used in the fields of sign printing/sample printing/wall paste sign/individual vinyl printing/individual cloth and shoes manufacturing. Convenient to use with multi-function, integrating with multi applications. It procides the gamut printing services for the advertising sign manufacturing/sign printing/garment manufacturing enterprises. Compatible to the multi format files and software, as JPG TIFF AI PNG EPS,etc. 9. 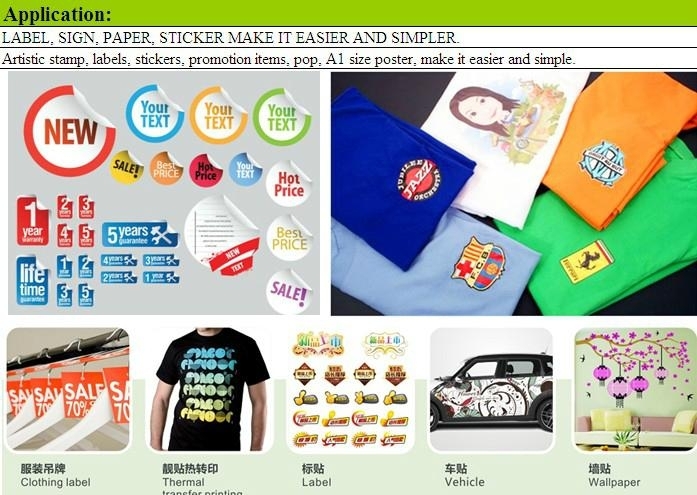 Compatible to the variable stick-on PVC/stick-on paper or other kinds of stick-on media. Media Label, sticker, banner, billboard, vinyl, POP display material etc.